The Sailing Away Wood Cremation Urn is a solid wood urn with a 3D image of a sailboat catching the breeze on the water. This is the perfect resting place for someone who loved being on the water. Several types of exotic hardwoods are used to make the three-dimensional scene on this urn. Each urn is a unique work of art and is made in the United States. The urn loads easily through the bottom by removing several screws and the bottom portion of the urn. It is important to keep the cremains in a sealed plastic bag inside the urn. 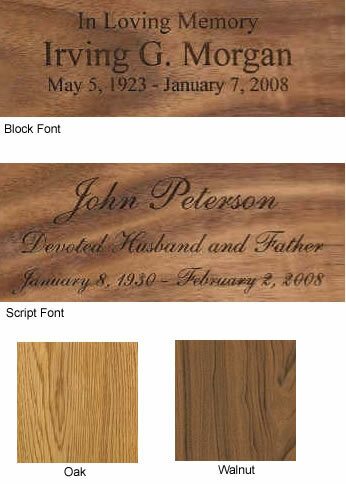 Urn is available in oak, walnut (shown), or maple. Click above for a larger view.